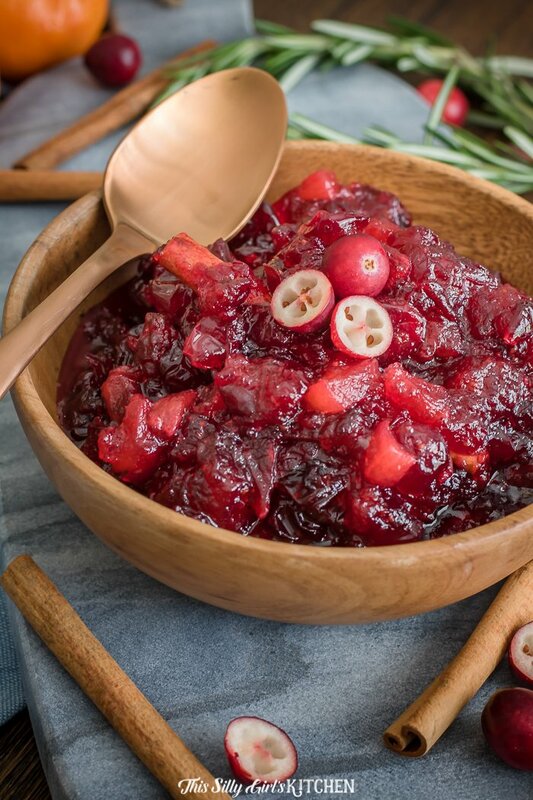 You don’t need to wait until Thanksgiving to make this cranberry sauce! Loaded with apples and fresh cranberries, this cranberry sauce is the perfect addition to any homecooked meal. 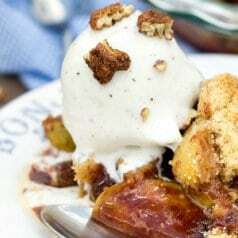 The best part of this apple cranberry sauce is that it is ready in less than 15 minutes! 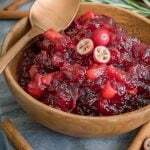 The addition of cinnamon, rosemary, and orange is an unexpected and unique flavor enhancer to this cranberry apple sauce recipe. It adds pops of flavor from all angles and works so well together. 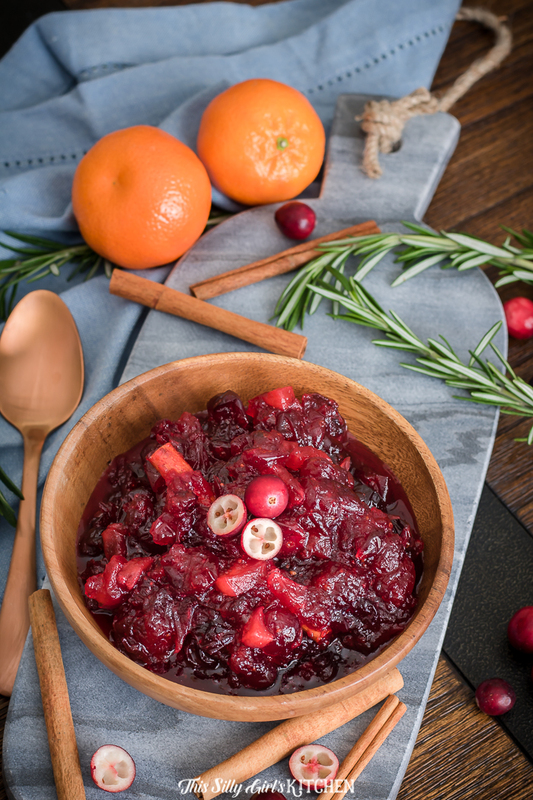 But, we can’t deny it – homemade cranberry sauce is a staple this time of year. What is whole cranberry sauce? 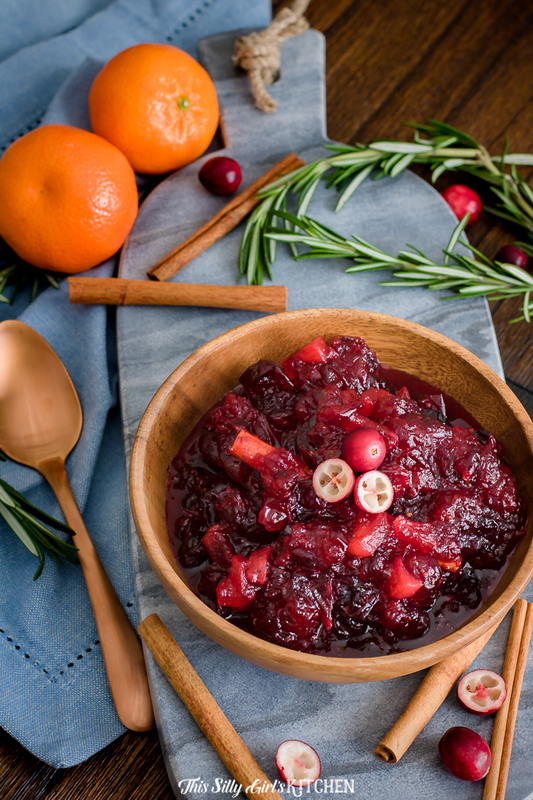 There are two kinds of cranberry sauce – one is jellied and one is “whole berry”. Jellied cranberry sauce is basically a jelly like any other fruit such as grape, or strawberry. It is smooth, thick and perfect for slathering on biscuits like other jellies. Whole berry cranberry sauce is where they leave whole chunks of cranberries in with the jellied portion. Making it chunky and more substantial to eat during a meal. What do you serve cranberry sauce with? Traditionally, cranberry sauce is served with a large meal on Thanksgiving or Christmas. Other items in the meal include a whole turkey, ham, mashed potatoes, macaroni and cheese, rolls, stuffing, and lots more! 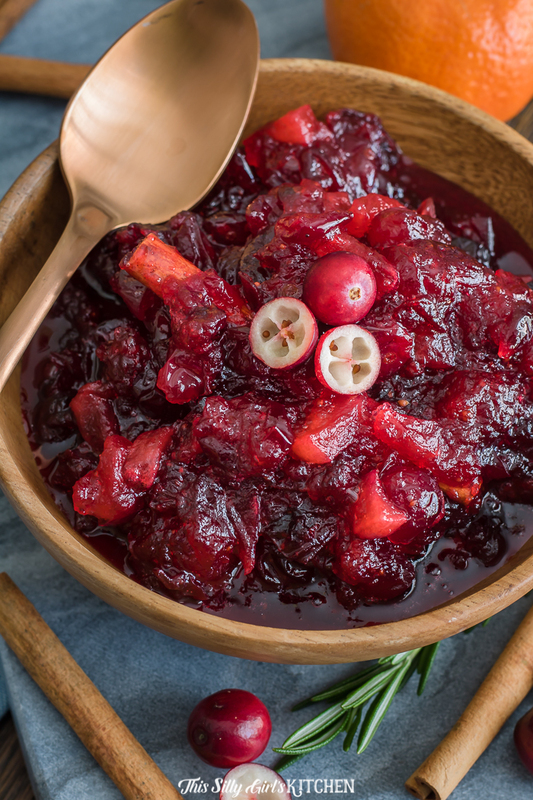 Cranberry sauce is just another staple side dish to go with these items. The tartness from the cranberries pairs perfectly with the other heavy items, making a great contrast for the entire meal. 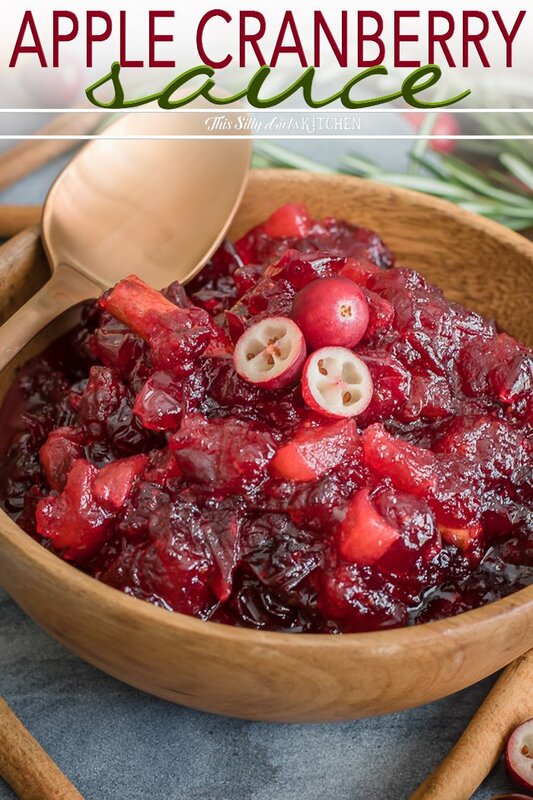 You can’t go wrong with roasted turkey dinner and a side of this cranberry apple sauce! I know, making homemade cranberry sauce may seem unnecessary but the flavor is something you just can’t get from a can. Small dice one Honeycrisp apple. 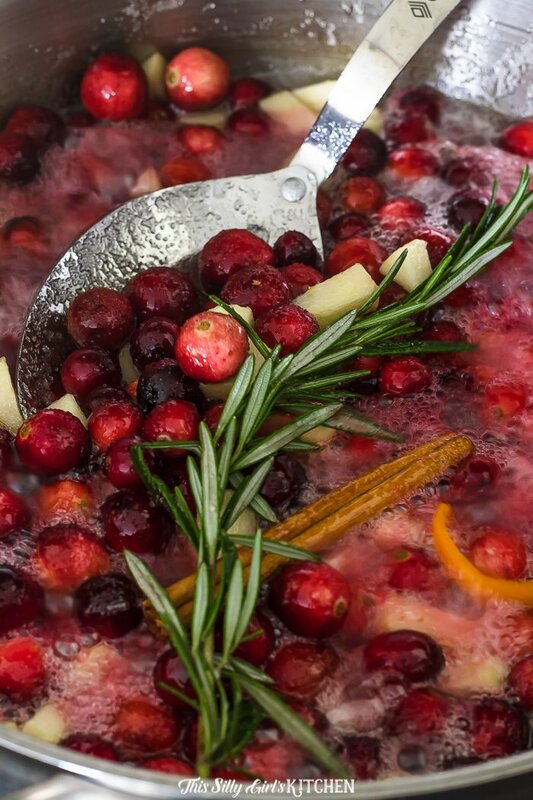 Place apple, cranberries, orange rind, water, sugar and a pinch of salt in a large saucepot over medium-low heat. Stir constantly until sugar is dissolved. Add cinnamon stick and rosemary, stir to combine. Raise heat to medium and cook until half of the liquid is absorbed, about 8 minutes. Stir constantly. Discard rosemary, cinnamon stick, and orange rind. Let cool, serve! Yes! According to RealSimple.com, freezing homemade cranberry sauce works perfectly. Just freeze the cranberry sauce in an air-tight container or freezer bag. Use within a couple months. Defrost frozen cranberry sauce in the refrigerator overnight. In a large saucepot over medium-low heat, add in the diced apple, fresh cranberries, orange rind, water, sugar, and salt. Stir constantly until sugar is dissolved. Turn the heat to medium and add the cinnamon stick and the rosemary sprig. Simmer for 8 to 10 minutes until the cranberries burst and half of the liquid is absorbed. Remove the cinnamon, rosemary, and orange rind and discard. Using the back of a spoon, crush the cranberries to form your desired consistency. Let cool completely, serve warm or refrigerate and serve cold. 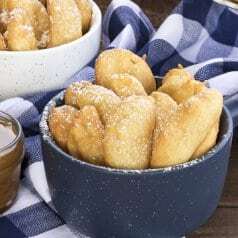 *I prefer Honeycrisp, but any baking apple variety will do. **I use a vegetable peeler for this step.